The National Safety Council claims Halloween night is one of the most dangerous of the year—warning that kids are more than twice as likely to be hit (and killed!) by a car on Halloween more so than any other day. 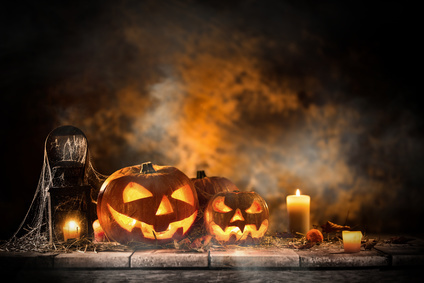 Have a safe and happy Halloween from Texas Orthopedics! Dr. Tyler Goldberg and twenty-one other healthcare professionals recently traveled to Honduras with One World Surgery on a humanitarian trip. While there, they faced a logistical nightmare as they dealt with the effects of one of the most devastating hurricanes in U.S. history—Hurricane Harvey. Not wanting to disappoint the many patients awaiting joint replacement surgery at the Holy Family Surgery Center there, the group changed course and rerouted their original travel through Miami instead of storm-ravaged Houston to arrive in the tiny Central American country. It took a great deal of coordination and perseverance to get there, Dr. Goldberg told a reporter from Becker’s ASC Review. “Coordination is key when performing a short-term mission trip,” said Dr. Goldberg. “No one person can do this alone." Due to the impending arrival of yet another hurricane (this time Irma) and once again fraught travel scenarios, the team had just three days to complete 20 surgeries before having to return home. In all, 15 total knee replacements were performed as well as five total hip replacements--a phenomenal feat given the short amount of time. Dr. Goldberg commented that the patients in Honduras were so grateful for their generous medical assistance that it was an absolute pleasure to care for them despite the challenging circumstances. You can read the entire article about Dr. Goldberg and his team right here. Austin is the live music capital of the world, with a regular stream of headliners in town. Just this month, we’ve seen great groups come through for ACL and more recently performing at the Circuit of the Americas’ Formula One racing events. Much like athletes, musicians’ bodies suffer a great deal of wear and tear from their profession. Musculoskeletal disorders plague 73.4% to 87.7% of all musicians, with string players reporting the highest prevalence. 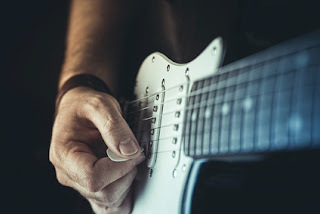 Tickling the ivories, strumming a guitar, or playing drums repetitively through a grueling rehearsal schedule and back-to-back performances can do a number on fingers, wrists, the neck, and shoulders. And then there’s the added stress of hauling heavy instruments and equipment from one gig to the next. Bones and joints can become easily fatigued from this repetitive use, leading to pain, inflammation, and potentially serious conditions like arthritis. Arthritis occurs when the cartilage between joints breaks down resulting in weakened bones, and decreased flexibility and range of motion. If you suffer from chronic aches and pains as a result of playing an instrument, please contact us for an appointment with one of our specialists. 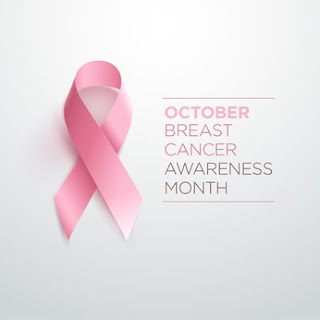 While breast cancer is the most commonly diagnosed form of cancer among women, it is second in deaths behind lung cancer according to the American Cancer Society. Every two minutes in the United States, a woman is diagnosed with breast cancer, and every 13 minutes, a woman dies from it. The good news is that there are more than 3.3 million breast cancer survivors alive today in America due to enormous advancements in both preventative screenings and treatment. Alongside cancer, the other leading health issues facing women today include heart disease, stroke, diabetes, lower respiratory diseases, and Alzheimer’s. Many factors contributing to these diseases can be chalked up to genetics. Beyond genetics though, medical experts agree that prevention is key. We've been sharing lots of reminders on how to keep your body safe during this fall sports season, but let's not forget about your pearly whites. The American Association of Endodontists reports that more than 5 million teeth are damaged each year while playing sports. This number refers to teeth that have been fully knocked out, loosened or cracked. Wearing a mouth-guard is the best way to protect your teeth while playing sports. 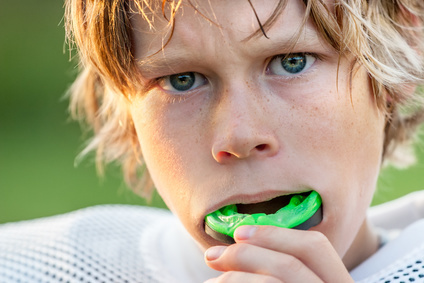 Even if it’s not a full-contact sport like football or hockey, player collisions can be disastrous for an unprotected mouth. Make sure the guard is brand new, and molded to fit your mouth exclusively. And look for products with the ADA Seal (American Dental Association). If a tooth has completely been knocked out, pick it up by the crown (top) not the root at the bottom to help protect the nerve there. Rinse the tooth in clean water if possible to remove any dirt or blood, and place it somewhere safe until you get medical assistance. Back inside the mouth, gently stored between the gums and the cheek. Wrapped in a moist cloth, napkin, or paper towel. Seek medical attention within 30 minutes of a lost tooth for the best chance of saving it. Teeth that have been knocked out can often be replanted, or splinted back into place if done quickly. If it’s a primary, or baby tooth, the situation isn’t as dire because a permanent one will eventually grow in. Additionally, if you suspect any broken bones (such as in the jaw or neck) accompanying a knocked-out tooth, or concussion-like symptoms, get help immediately. Sadly, thousands of people die each year from complications due to the common flu. At the greatest risk are young children, pregnant women, seniors, and those with autoimmune conditions like rheumatoid arthritis. People with arthritis—a debilitating weakening of bones and joints—often take medication to help manage pain, reduce swelling and inflammation, and improve flexibility. These types of medications can suppress the immune system, leaving a patient susceptible to infection and other illness. The CDC (Centers for Disease Control and Prevention) recommends all those who fall into this greater risk category get the flu vaccine before flu season starts and that means…now! Getting vaccinated can help prevent you from getting the flu, and reduce the potential for doctor’s visits, hospital stays, and missed work. The CDC also suggests that if you have a weakened immune system, encourage those who you’re in close contact with to get the vaccine, too. 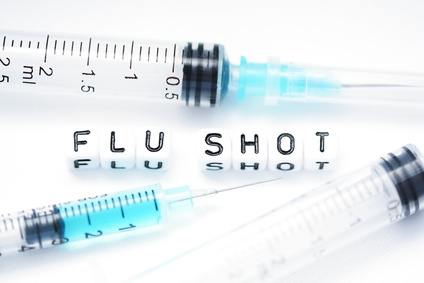 The flu vaccine is available in shot or (nasal) spray/mist form. The injected version of the vaccine is often thought to be more effective because the mist has a live, weakened form of the virus. This can have side effects for those with already suppressed immune systems. Talk to your doctor about which one is right for you. Besides getting vaccinated, other ways to avoid the flu include frequent handwashing, limited contact with those who have it, and following a healthy diet of vitamin-rich foods. If you are suffering from arthritis, and have questions or concerns about the upcoming flu season, please contact us for an appointment with one of our specialists. Goals have been scored. Touchdown passes thrown. And just like that, the fall sports season is halfway done. 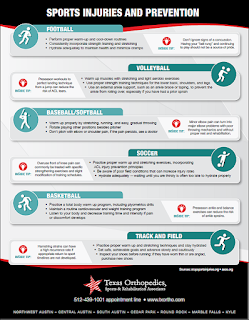 Whether a player on the field, runner on a cross-country course, or cheerleader atop a human pyramid, every fall athlete is at risk for a sports injury. According to the CDC (Centers for Disease Control and Prevention), more than 2.6 million kids (up to 19 years of age) are treated in the ER annually for sports and recreation-related injuries. 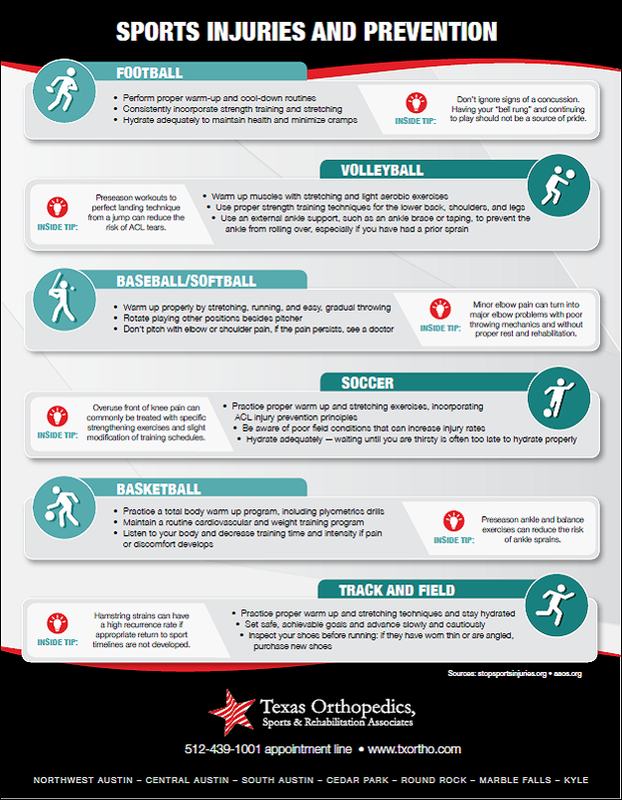 We treat a good number of young student athletes here at Texas Orthopedics every day. There’s also an uptick of sports-related concussions reported during the fall. Continue to check all equipment (helmets, shoes, shin guards, mouth guards, etc.) regularly for damage and proper fit. Keep in constant communication with coaches and trainers and let them know if you are in pain, sick or struggling and need a brief break from games or practices. Stay fueled up with a healthy diet and tons of water to hydrate as the fall is still typically very warm in Central Texas. Follow all instructions from your physician or orthopedist for rest and recovery if you’ve already suffered an injury this season. Please contact us if your child needs to be seen for a sports injury, or if it’s after-hours (as most sports injuries tend to be), visit our Urgent Injury Clinic where no appointment is necessary. When is it best to work out? 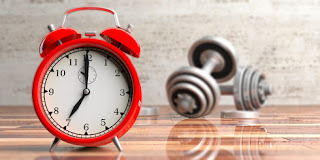 Our physicians and physical therapists at Texas Orthopedics get this question often: when is the best time of day to work out? Morning or night? Generally speaking, as long as you are doing it and getting your 30 minutes in, five days a week, that’s great! Whatever works best for your schedule, is what’s best. Regular exercise is essential for healthy muscles and bones to help avoid common injuries like sprains/strains and fractures, and also prevent serious medical conditions such as arthritis, diabetes, and heart disease. 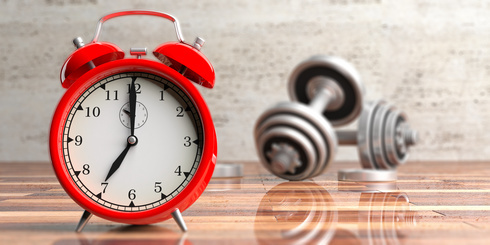 Studies show that no matter what time of day you exercise, you’ll burn roughly the same number of calories. The convenience of 24-hour gyms that are open around the clock add to the ease of being able to work out whenever you choose. Research shows that those who exercise in the morning tend to be more consistent with their workout. A good night’s sleep for hours before can fuel your body up with more energy for a more intense workout than when you’re tired later on. Morning exercisers report feeling more energized and productive throughout the day and less sluggish than those who’ve had a slower start. Exercising later can alleviate any stress encountered throughout the day, preparing the body and mind for a more restful night’s sleep. There may not be the rush factor of working out at night--once you’re done with your day’s commitments--unlike the morning when you likely need to somewhere at a specific time. Environmental factors can give your body a better boost working out later in the day (if exercising outdoors), as temps are warmer allowing muscles to loosen up quicker and perform more effectively. It’s time to start fueling up with the many “superfoods” that are abundant at this time of year. They are full of antioxidants and Vitamin C. Toss the seeds into salads, yogurt, and smoothies, or add the juice to marinades and sauces. Acorn squash—really most squashes—are excellent sources of Vitamins A and C, and like sweet potatoes, they are full of fiber too. Vitamin A is essential for healthy eyes and helps maintain clear skin. These tart red berries are popular at Thanksgiving time, but they should be enjoyed throughout the entire season. They add an unexpected pop of flavor to savory grilled meats and are tasty in sweet treats like muffins and breads. Cabbage thrives in the cooler temps and is chock full of Vitamin K, which contributes to healthy blood and circulation. Opt for the purple/red variety to gain the most nutrients. Apples are a quintessential fall staple. They are easy to eat on their own as a snack, or can be cored, chopped, cooked and added to just about any dish you can think of. Make sure to keep the skin on as that’s where all the vitamins are. 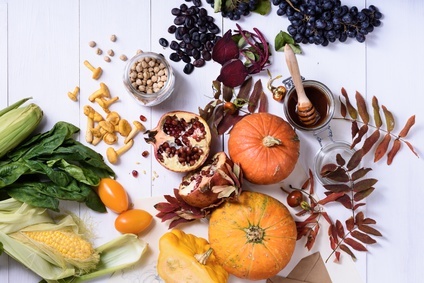 Like squash and sweet potatoes (or any orange-hued veggie), pumpkins are rich in Vitamins A and C. One cup of canned pumpkin satisfies more than 700 percent of your daily Vitamin A needs. Mix it in with your morning oatmeal, or swirl it into curries, soups, and stews…it will add a rich, thick texture without altering the taste. Knee osteoarthritis currently strikes more than 30 million adults in the U.S. over the age of 50 (according to the CDC-Centers for Disease Control and Prevention). It is the painful wearing down of cartilage within the knee joint causing stiffness, swelling, and limited range of motion. We treat it frequently here at Texas Orthopedics. Many of those suffering from this degenerative disease fear that surgery to repair or fully replace the joint (known as total knee replacement surgery) is the only option to treat the pain and better facilitate movement. Not true…according to a new report published in the Journal of the American Academy of Orthopaedic Surgeons. The research shows that corticosteroid injections prove highly effective in managing pain and swelling, decreasing stiffness, and improving joint function for up to six months. Steroid injections are a good option for those who are apprehensive about surgery. Although they are not a permanent solution, the shots provide sufficient relief while a patient can be exploring additional non-surgical possibilities for treatment. Maintaining a healthy body weight. Every one pound of weight can feel like up to five pounds of pressure on the damaged joint. Eating a balanced diet. Make sure to get plenty of fruits, vegetables, lean proteins, and foods with anti-inflammatory properties such as blueberries, ginger, salmon, and spinach. Keeping active with physical activity to encourage joint health and flexibility. Yoga and swimming are great, low-impact options, as well as just walking for as little as thirty minutes a day. Personalized physical therapy can also be helpful following specific exercises designed to strengthen and support the joint and surrounding ligaments. If you are suffering from symptoms of knee osteoarthritis, and would like to speak with one of our specialists about the benefits of steroid injections or other treatments, please contact us here for an appointment.